Today we’re talking the best way to germinate seeds, including germination tips and how to get your seeds to sprout sooner, because the sooner those bad boys sprout, the sooner they grow into plants and the faster we are putting homegrown food on the table. Listen in below to the full podcast, Episode #175 Best Way to Germinate Seeds – How to Germinate Seeds Faster , of the Pioneering Today Podcast, where we don’t just inspire you, but give you the clear steps to create the homegrown garden, pantry, kitchen and life you want for your family and homestead. Now, we are in the beginning of April here in the pacific northwest. We’re still getting hard frosts overnight on clear nights. And this matters because in the spring, your planting schedule really revolves around your last average frost date. You’ll notice on most of your seed packets and plants, there will be instructions to put plants out two to three weeks after your last average frost date, for example, when it comes to your warm weather vegetables. Or it will tell you when to start seeds indoors, according to your last average frost date. Keep in mind, your last average frost date is a guideline and it can change from year to year. That’s why it’s an “average” date right? It’s a good idea though, for you to kind of keep your own record and see when that happens to fall for you. You can also speak to someone at your local garden supply store or check the online Farmer’s Almanac for your area to find your first and last average frost dates if you’re unsure. Once you know your last frost date, you can plan your seed starting around that. Now, when you think of your big summer vegetable garden with your squash, tomatoes, lettuce, peas, beans, etc. most people plant all of those things at almost the same time. We tend to think of growing those crops together when we imagine them in our summer garden. But there are actually a lot of cooler weather crops that can go in even earlier and can even help you get an earlier harvest. Some of the earliest plants that can go in are things like kale, some of your cooler weather lettuce, brussels sprouts, onion sets, radishes and snow peas, to name a few. What is seed germination? It’s when the seed sprouts and begins to grow. Now, when it comes to germination, your germination rate is basically the percentage of seeds that sprout out of the total number of seeds of a specific crop that you plant. So if you plant 10 tomato seeds and all of them sprout, then you have a 100% germination rate. However, if you plant 10 seeds and only seven of them actually sprout and grow into plants, then that’s only a 70% germination rate. As far as germination time is concerned, some seeds have a longer germination period than others, but typically germination takes anywhere from three to 10 or up to 14 days, usually with the longest being about a two-week period. Once you get past that, usually the seed is no good. It’s either rotting in the ground or for whatever reason it just didn’t germinate. Normally past two weeks, if it hasn’t sprouted, it’s probably not going to. Below are my best tips on how to make seeds germinate faster. So, best germinating seeds in soil advice, aka direct sowing, it has to do with temperatures. Because if you’ve got ideal conditions for direct sowing, if you can get that seed to sprout within three to four days instead of 10 to 14 days, then you’ll be able to harvest almost two weeks sooner and then you’re going to have a longer growing season which typically means more productions and higher yields. If you want to know how to germinate seeds quickly, this is it. Soak your seeds at room temperature to warm water. Make sure the water is not hot. You never want your seeds to be exposed to heat that is 95 degrees Fahrenheit or hotter. Water should be lukewarm, 75 to 80 degrees max. Using warm water to sprout seeds is particularly useful for warmer weather crops like tomatoes and peppers that require warmer temperatures in order to germinate. So for example, if you try to put pepper seed in the ground and the soil temperature is only 50 to 60 degrees Fahrenheit, you’re not going to get as many of them to sprout, and the ones that do germinate will take a lot longer to sprout. So ideally I usually just run the water until it’s lukewarm, around 72 degrees Fahrenheit, and then depending on the temperature of our room, that’s what temperature the water will settle to. Then I soak seeds for anywhere from eight to 16 hours. For larger seeds, I wouldn’t go over 24 hours. The reason for soaking seeds is because it allows them to fully rehydrate since they’re dry when we’re storing them. It’s especially helpful with larger seeds like beans, peas, corn and even radish seeds that take a long time to rehydrate and germinate. When it comes to really tiny little seeds like cauliflower, brussels sprouts, lettuce, carrots, etc. I don’t bother pre-soaking since they’re just too tiny and they don’t require as much moisture to rehydrate. Now another thing when it comes to getting your crops faster, especially if you’re trying hard to get as early a harvest as possible, is to focus on getting cooler weather crops in the ground as soon as possible. Of course, this will depend on the temperatures outside, but as long as you keep an eye on the temperature (especially at night), you can push the envelope a bit and get some of those cooler weather crops in the ground and growing and producing as early as possible and for longer than normal. I know I know, the weather forecast isn’t always 100% accurate. There’s a lot of room for error and sometimes we get really frustrated when we’ve looked at the weather forecast and then it turns out to be nothing like it said it was supposed to be. But for the most part we can look at that forecast and say, okay, today’s Monday and for the next four days it’s going to be rainy and cooler. But then it’s supposed to be sunny and clear on the weekend, which means the soil is going to warm up pretty quick. Now, this is our current weekly forecast I just gave you. So I won’t necessarily be able plant out my warm weather crops yet because it’s going to be warm and sunny during the day, but that means clear skies at night, which means I’m going to be having some frost. But the soil temperature will get really warm during the day, which is perfect for planting things that need warmer temperatures to sprout but that can survive a frost, like radishes, beets, etc. I can soak my seeds overnight in warm water and then plant them out late in the morning when the sun is out warming the soil. Then, once I plant them, they’re going to have all day in that nice heated, warm soil and then they will get the frost at night. If I were to plant during the first half of the week when the weather is supposed to be rainy and cool, those seeds might technically sprout, but I know that they are going to sprout and germinate a lot faster with those warm temperatures. So even though I could get them in the ground maybe four to five days sooner, if I just wait those four to five days longer until the conditions are a little bit more ideal and it’s going to be a little bit warmer out, they’re going to germinate faster and they’re going to actually grow faster so I’ll actually be able to harvest them sooner by just waiting those few extra days because the soil temperature will support better germination and growth. Finally, for seeds that need to be direct sown in their permanent spot or to get a jumpstart on starting warm weather seeds indoors earlier and then transplanting them out to the garden earlier too, you can create your own warm pockets and microclimates to encourage germination and to keep seedlings warm if you need to transplant them earlier than normal. You can do this by using a greenhouse or high tunnel or you can use cold frames to create a warm microclimate to start seeds in very early in the season and keep seedlings warm. You can even use plastic milk jugs to start seeds outdoors when it’s still winter! Talk about getting a head start on the growing season! 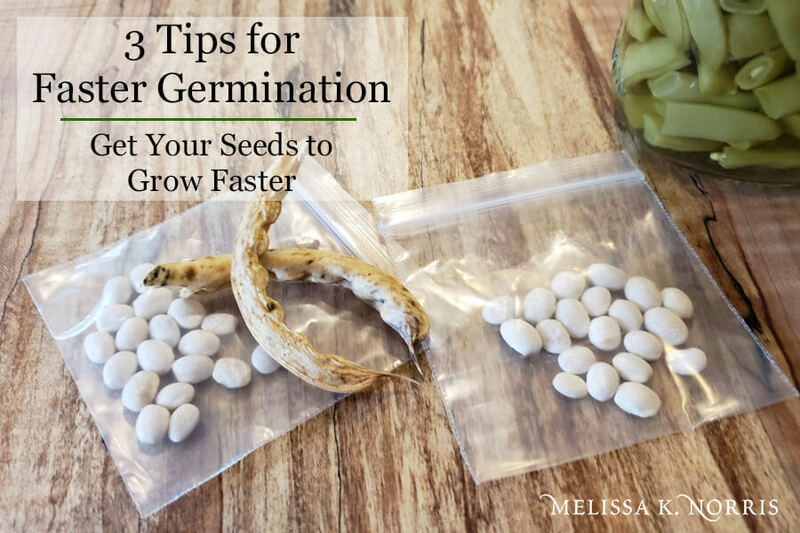 There are many ways to help get your seeds to germinate faster, and to get an earlier, longer harvest from your plants. Personally, I’m always experimenting with different techniques. I love geeking out in the garden and trying new things, and these are my best germination tips to date. But what’s even more important than how to grow your own food and techniques for doing it better and faster, are the reasons why you should be growing your own food. Why grow your own food at home? There are, of course, many reasons why you might want to grow your own food, not least of which include the many health benefits that come from eating organic, homegrown and homemade food. But another major reason is to save some money and provide some level of food security for your family. Now, I’m not a doom and gloom type of person. I’m very practical and I tend to see life through a positive lens in which the glass is always half full. But I think we also have to be realistic. And the reality is that food prices are continuing to rise at the grocery store, and in some cases it’s getting harder and harder to afford good, healthy food. Take, for example, the recent flooding in the midwest. Entire farms were wiped out. Many farmers and homesteaders lost their crops, their grain feed for their animals and even lost their livestock entirely. Hundreds and maybe even thousands of heads of cattle were lost, as well as other livestock. And on top of all that, contamination from the flood waters means that many farmers won’t be able to plant or grow anything in their fields this year. This all means that food prices are likely to go up even more too. These types of unforeseen, uncontrollable events can impact food prices nationwide and even globally. So that’s just one more reason we should all be growing at least some of our own food at home. It’s also why I am so passionate about raising and growing your own food and why I have a goal to help 10,000 families raise a year’s worth of food by January of 2020. 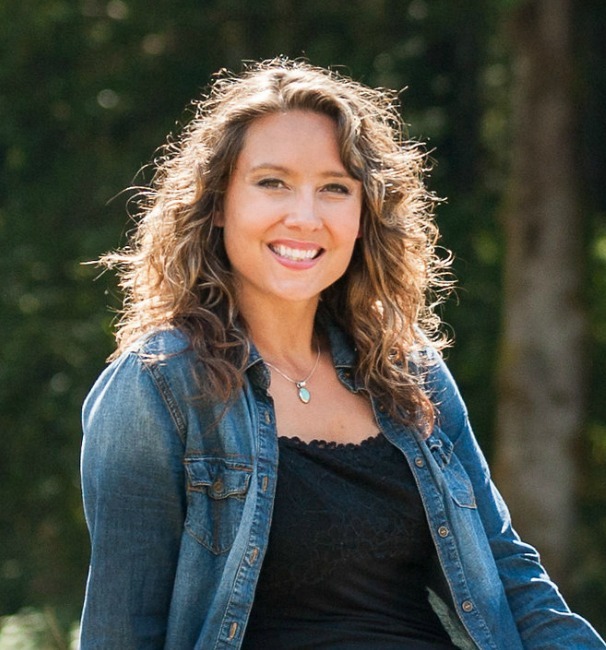 Of course, I’d love to invite you to be one of these 10,000 families, so if raising a year’s worth of food is a goal of yours too, head over to melissaknorris.com/10000 and sign up for the FREE challenge! Also, I’m so excited to announce that the doors to the Pioneering Today Academy are now open! 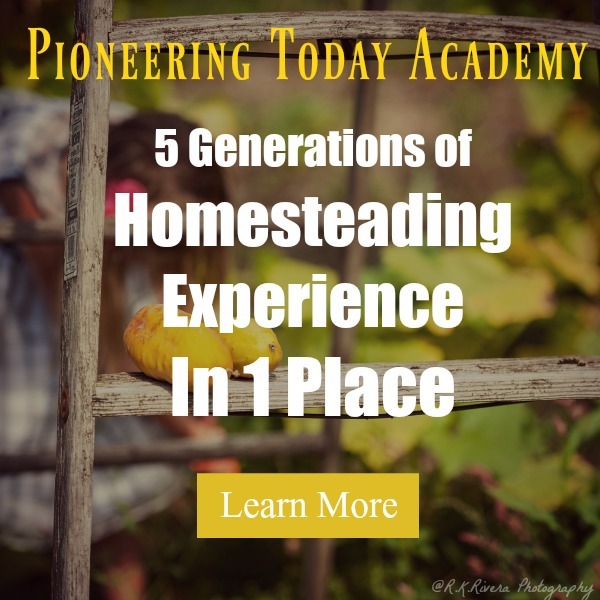 If you’ve never heard of the Pioneering Today Academy, it’s an online membership site where I walk you through everything you might want to know how to do on the homestead in full, detailed video lessons. 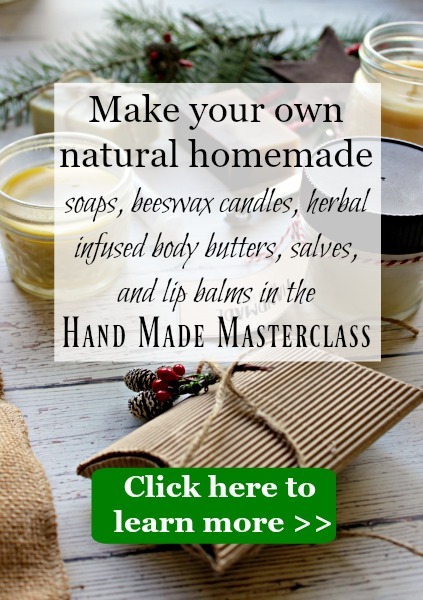 Everything from seed starting, winter sowing, crop rotation, companion planting, all of that kind of stuff, as well as canning and preserving, cooking and baking, raising livestock, growing and making your own herbal remedies and so much more. 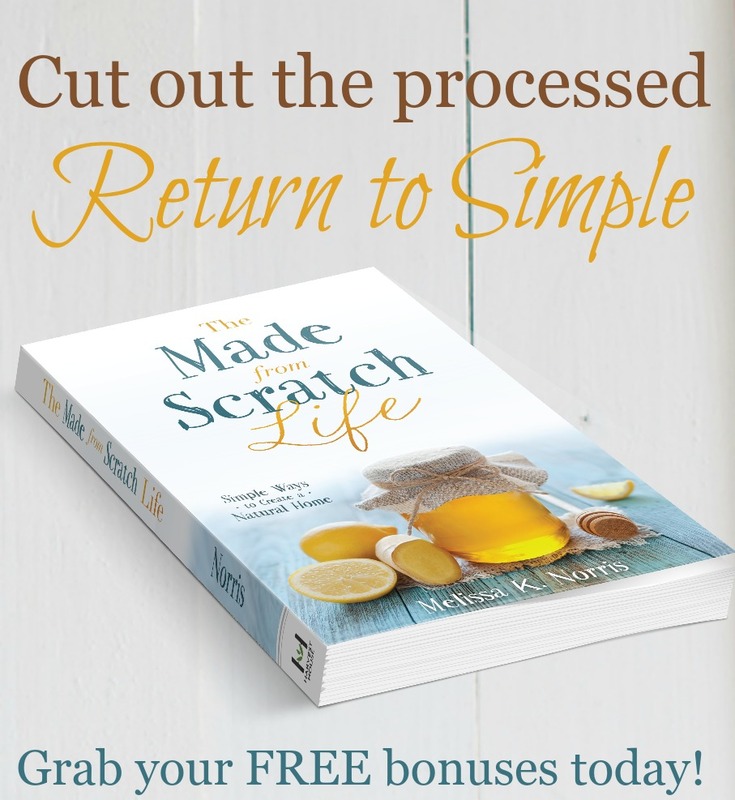 I walk you through it all with step-by-step videos and an accompanying download guide that you can access any time. Then we have challenges with prizes to help inspire you and keep you motivated and committed to actually doing all this stuff! We haven’t been open for a regular open enrolment since last fall, but enrolment is now open through next Thursday, April 18. Then we will be closing the doors again and I don’t know yet if we will be opening again this year. So whether you’ve been waiting for the doors to open or you’ve only just heard about the academy, now’s your chance to become a member! But hurry because enrolment’s only open until next April 18, 2019. 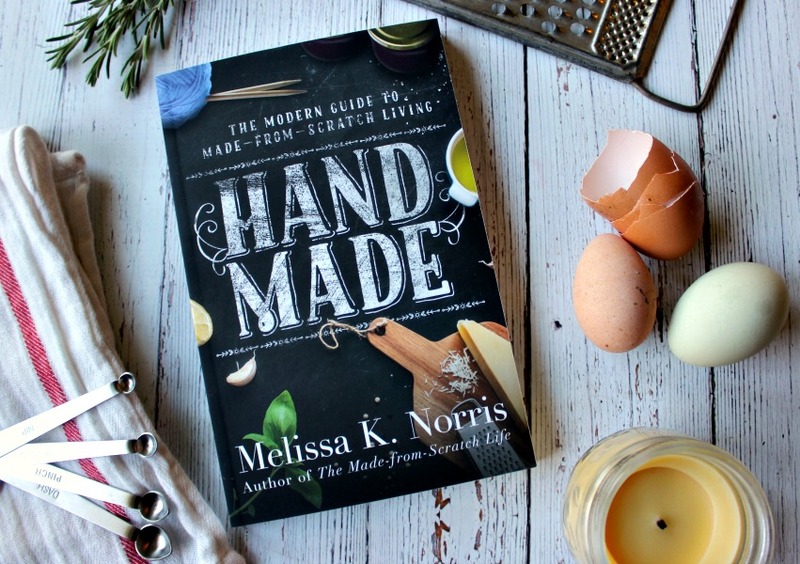 Head on over to melissaknorris.com/pioneeringtodayacademy to learn more! Now that you have the best way to germinate seeds and how to germinate seeds faster, what are you growing?